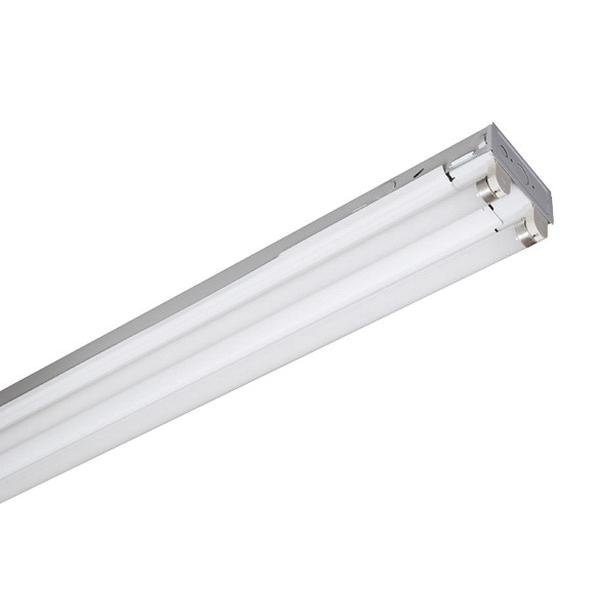 Columbia Lighting Straight-sided utility channel fluorescent striplight in baked enamel finish, has die formed steel housing with heat sink embossments for cooler running ballasts. White painted parts of this striplight are treated with five-stage phosphate bonding process. Fluorescent striplight uses two 25-Watt T8 lamps. Lamp with electronic instant start ballast has voltage rating of 120 - 277-Volts. Fluorescent striplight measures 36-Inch x 4-7/16-Inch x 1-13/16-Inch. It is ideal for utility and light industrial or retail applications. Fluorescent striplight is UL/cUL listed, CSA certified and NYC approved.